Such Scriptures could be multiplied. Suffice it to say, at this juncture, that if man could be saved from the penalty of his sins by any other means, Jesus would not have had to die on Calvary’s cruel cross to pay our sin debt. The Father would have answered Jesus’ prayer in the garden of Gethsemane to be spared going to the cross if it was at all possible that man could be redeemed in any other way than by Him suffering the wrath of God for every human being. As Jesus contemplated the enormity of paying for all of the sins of humanity, He sweat drops of blood as the capillaries of his sweat glands burst under the unfathomable stress of experiencing the entire world’s due punishment. It was at this point wherein Jesus contemplated the unthinkable pain of being forsaken from His Father whom he had been with from eternity past. Jesus prayed that if it were possible for mankind to be saved in any other way that the Father would extricate Him from experiencing the cup of His awesome wrath. However, the sin debt had to be paid for God to remain just and the justifier of those who placed their faith in Jesus (Romans 3:26). Jesus chose to go to the cross and declared that he “must” be crucified for our sins if we are to escape eternal torment in hell. Either we repent and turn to Jesus Christ, accepting the sacrifice He made for our sins, or we pay for them in eternal conscious torment in the lake of fire forever. The choice is yours! Choose eternal life! “But if you read the Bible and think about what it’s teaching you, it’s there for strength, there for guidance. But ultimately, you have to do it for yourself." Incredibly Creed, far from being founded on Christ and His teachings, were actually founded upon Stapp’s rebellion from parental authority and his Christian upbringing. Sadly, God only knows how many young Christians have been enticed by Stapp to reject parental authority and their Christian upbringing and have fallen into all manner of sexual perversion, drug use, and rebellion against God. Creed are far from a Christian band, by their own admission, and they have successfully exploited young believers who are battling between the temptation of giving in and being conformed to the satanic world system or being transformed by the renewing of their minds through purity of devotion to Christ. If Tremonti has in mind legalistic, man made, religious rules, his point would be well taken, but when one realizes that he is comparing Creed to Marilyn Manson when making this statement, it will be remembered – as pointed out above – that Manson is an antichrist and against the very commandments ordained by God. Moreover, as we are about to see, rules that Creed would abandon, like Manson, are often guidelines established by God Himself. Tremonti goes on to state that among his goals in life are “faster women…” (Ibid). Regarding faster women, in a Rolling Stone interview Creed boast about spending $2,500 at a strip bar. They do not only use corrupt language in their interviews, but have also even used God’s name in vain in their music. God’s word warns us that sexual immorality is not to be named among us and that corrupt communication is not to come out of our mouths (Ephesians 4:29-5:7 ). Sadly parents spend much of their lifetime seeking to instill biblical values within their children and rock bands come along and destroy years of labor with a few songs. 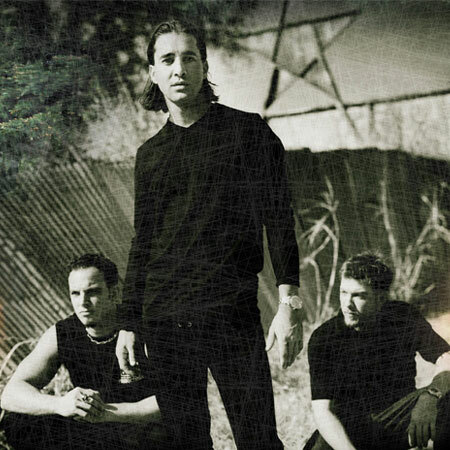 God’s word warns that, “one sinner destroys much good.” (Ecclesiastes 9:25 ) Scott Stapp’s life is an illustration of this very process, as his parents sought to raise him in the Lord and the powerful allure of satanic bands like the Doors led him from a Christian upbringing into mysticism and drugs. It was in Tallahassee that Stapp further opened himself up to the very demonic forces that fueled Jim Morrison’s musical abilities and later destroyed him. “I kind of went to the extreme,” says Stapp, “I just wanted to party. 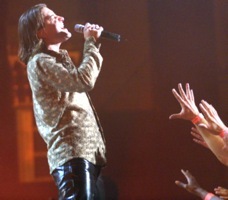 It was very self-destructive.” It was then that Stapp, following in Morrison’s footsteps, claims that he set out to, “open my mind, open the doors of perception.” Jim Morrison named his band The Doors as he was inspired in part by the very phrase quoted above by Stapp, “the Doors of perception.” Morrison’s goal was to “Break on through to the other side” of spiritual doors, through drugs and shamanism and make contact with the spiritual forces in the invisible realm. God’s word forbids making contact with the demonic spirit world and warns that all who do will be destroyed and sentenced to eternal damnation in the lake of fire. Stapp sought to open his mind by following Morrison’s lead through taking psychopharmacological drugs like mushrooms and marijuana. Many of Creed’s fans are unable to discern or understamd the significance of the fact that Creed was founded upon a foundation of rebellion. 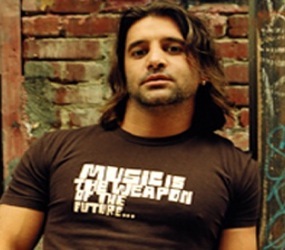 Scott Stapp rebelled against his Christian upbringing, ran away from home and started Creed. Now Stapp and company have led untold thousands of young people from their Christian upbringings into the nebulous religion of rock. 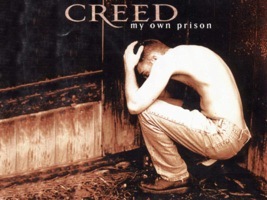 Creed, as we have seen, have admitted themselves that they are not a Christian band, and Scott Stapp of Creed told Rolling Stone that Creed are “tobacco dipping Budweiser drinkers" (Rolling Stone, 9/99). God’s word warns emphatically that we are not to be deceived, for drunkards “will not inherit the kingdom of God” (1 CorINTHIANS 6:9-10 ). A similar phenomenon to Christians flocking to a particular popular rock group, to feel like they could identify with something that was considered “cool” to the world, took place in the 1980’s. In the 1980’s I warned Christians that they should not buy into the lie that U2 was a Christian band and while my warnings fell on some deaf ears, I said that time would bear out these warnings. It was not long after such warnings that U2 showed their true colors in the mid 1980’s by doing a cover of the Rolling Stones, Sympathy for the Devil. After this, U2 frontman Bono stated in an interview that he was for abortion, homosexuality and didn’t believe that Christ was the only way to the Father, contradicting Jesus Christ Himself! Many at first were led to believe that U2 was a Christain band and after many sincere Christians jumped on the bandwagon they slowly shed their so-called Christian image and dragged them into the rebellious lifestyles that are so often glorified by rock stars. Like Tremonti of Creed, who claims that they identify with Marilyn Manson, Bono claimed at the time that he was a lot like Prince, sexually. It was not long before Bono was prancing around stage depicting Satan, which he did all so well. We have documented that Bono stated that one reason he donned the devil horns was to reveal a part of himself that he had kept hidden. It will not be long, in my opinion, before Creed drops the nominal halo and donns the devil horns like U2. Some who are reading this article now, and are ignoring its warnings to their own peril, will return to it later (perhaps after their faith is eroded) and acknowledge that this has been the case. Our hearts break for all the rock and roll casualties we have seen, as millions of young people have been seduced into lifestyles glorifying rebelion, violence, drugs and sexual promiscuity through popular rock bands. Such lifestyles eventualy end in death and eternal punishment. Our hope is that the reader will truly seek God and compare Creed’s lifestyles and their philosophies to His holy Word. Do we dare put our affection for a rock band above our loyalty to the living God who made us and bought us with the highest price of His own prescious blood? The God to whom each of us will stand before as judge to give an account for our lives at the judgement seat of Christ? Dear reader, is it a little thing that Creed members contradict the words of Christ and denounce the idea that Christ is the only way to salvation? Is it a little thing that Tremonti of Creed compares their morals (or lack thereof) to those of Marilyn Manson? Is it a little thing that Starpp is involved in occultic philosophy and that Creed share common spiritual experiences with the satanic bands they emulate? Jesus warned, “He that is not with Me is against me” (Matthew 12:30). If Creed, like any other non-Christian band, is not with Christ they are against Christ. Through his divorce Stapp seems to feel free to pursue other relationships without the restrictions of a contractual agreement to be faithful to one person alone. In this we see a microcosm as to why Stapp has divorced himself from the teachings of Jesus Christ and Christianity. Stapp declared, "I had gotten to the point," he says, "where I felt guilty if I looked at a girl and said, ‘Wow, she’s got nice t***.” He goes on to declare, "I’m over that now." In the final analysis Creed is a misnomer when applied to this band, as they seem to have no creed at all and live by the spiritually bankrupt philosophy of “Do what thou wilt.” While they have several emotionally moving songs that appeal to millions of peopl,e we must ask, “To what destiny is it that Creed are moving their fan base in the end?” Creed is really not about the genuine, the biblical, as much as they are about the false Jesus of their imaginations. We ask the reader to carefully consider the fact that your stay here in this world is relatively very brief compared to eternity. Everybody will exist forever, the question is, where will you choose to spend eternity? Will you live forever with God in the eternal bliss of his heavenly kingdom or will you live forever in eternal conscious torment in the lake of fire? Our hope and prayer is that you will choose Jesus Christ who paid the ultimate price to save your soul and turn from the idols of rock and roll. Dear reader, we beg you to not make the same gamble as this rock idol. The odds are too great (zero), the price is too high (eternal damnation), and eternity is too long (forever)! Choose life, choose Christ and enjoy eternal life in the kingdom of light where there is no more curse, pain or death! Was The Norway Killer A Christian? Isn’t All Music Tainted By Satan?